11 Strange Movie Job Titles—Explained! Here's what the key grip, best boy, and gaffer actually do, plus the origins of those titles. A person who creates sound effects in post-production. Film sets don’t necessarily have the same acoustic properties as the real-life locations they portray. Foley artists eliminate extraneous noises and add convincing sounds. For example, they stamp their feet to match footsteps on the screen. Also, (spoiler alert!) movie fistfights are faked. The blows never land, but Foley artists, shall we say, “punch up” the sound. 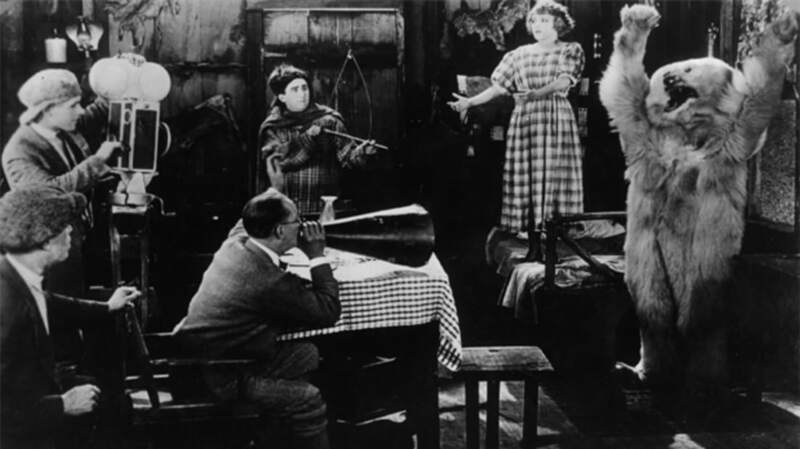 The job takes its name from Jack Donovan Foley, who rounded up employees with experience in radio sound effects to help Universal Studios survive the transition to sound in 1927. The head of the electrical department for a film production. Although some sources point to the fact that gaffer (probably an elision of grandfather or godfather) has long been used in British English for an old man, or the foreman of a work crew, Media-Match gives a more likely explanation: "The term was also used to describe men who adjusted lighting in English theater and men who tended street lamps, after the 'gaff' they used, a pole with a hook on its end." A member of a camera crew responsible for building and maintaining all the equipment that supports cameras, as well as moving and setting up the equipment. The term was adapted from the American theater where it was used for a stagehand who helps shift scenery. A grip who moves camera cranes and dollies (the wheeled platforms that carry the camera and the camera operator). The supervisor of the team of grips. Second in command, assisting the gaffer or key grip. According to IMDb, "The origin of the term is from 'pre-union' filming days when the line between Grip and Electric departments was less rigid. When the head of either department needed another body temporarily, he'd go to the head of the other department and ask him to 'lend me your BEST boy.' By default the 2nd in charge of either department came to be known as best-boy. This term may also have been borrowed from early sailing and whaling crews, as sailors were often employed to set up and work rigging in theatres. There are no 'best girls' per se; female chief assistants are also called 'Best Boys.'" “Animal wranglers”—like wranglers who manage horses and other livestock on a ranch—control, instruct and care for animals used in filming. Similarly, “child wranglers” manage child actors on a set, coaching them in acting and keeping them entertained and quiet when they are not in the scene being filmed. A jocular term for the utility sound technician who performs a variety of tasks in the Sound Department, most typically pulling cables. Someone who provides logistical support, facilitating whatever's needed relating to permits, customs, location, talent, crews, equipment, accommodation, and transportation for filmmakers who wish to conduct filming abroad. The term is apparently a wink at the colloquial term fixer, meaning a person who makes arrangements for other people, especially of an illicit or devious kind. A person who creates a computer-generated 3D model that allows the production designer to determine how a scene will ultimately look. The concept artist renders the desired shots, camera angles, focal lengths, camera movements and choreography. The computer-generated model can also depict surface textures, lighting schemes and costumes. Sources: “Film Crew Glossary,” Film in Colorado; “Film Crew,” Wikipedia; "Glossary." Daily Variety 24 Aug. 2004: A1+ General OneFile. Web. 12 May 2013; Media-match: Job Descriptions; “Movie Terminology Glossary,” IMDb; “The Story of Jack Foley,” FilmSound.org.